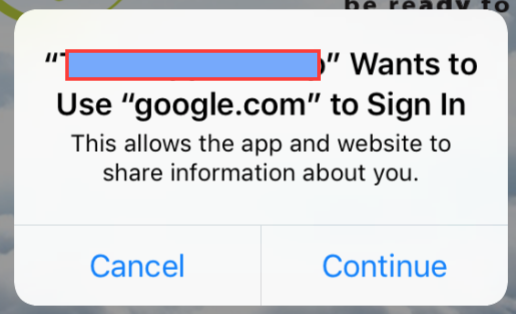 Can we change highlighted text in this alert, for google authentication? actually it's taking target name by default. but our app name is different, So is there any way out to change this for this alert? If we change the bundle name, It will reflect on the alert title as expected. Not the answer you're looking for? Browse other questions tagged ios google-login or ask your own question. How do I completely rename an Xcode project (i.e. inclusive of folders)? UIDevice uniqueIdentifier deprecated - What to do now? Firebase change app name which display on google sign in alert?